Hello! Christy here from Sweet Tidings! I'm happy and honored to take part in this New Skills Festival organized and hosted by the incredibly crafty and super Montessori mom Jojoebi. Rubber stamping is is one of my favorite crafts. It's a very versatile, enjoyable craft that has myriad creative possibilities. Aside from making hand stamped cards and tags, I love using rubber stamps on other types of surfaces such as ceramics, glass, wood, plastic or even metal. 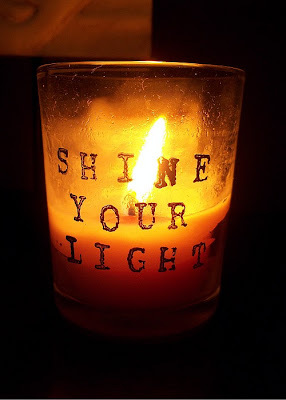 Withe the right tools and with the help of a few inexpensive materials you can easily create unique home decor items for a fraction of a cent. 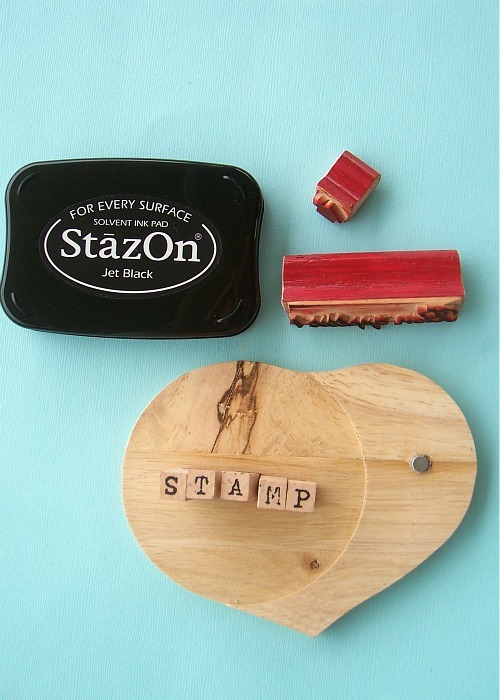 To be able to imprint rubber stamp designs on non-paper materials you would need a fast drying solvent ink for all surfaces such as StazOn. You can easily purchase this type of solvent ink in craft supply stores and even online. Of course you'll also need some nice rubber stamps and your material of choice. 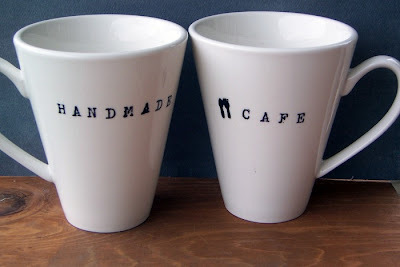 Plain ceramic cups can easily be personalized using wooden alphabet rubber stamps. This type of stamp comes in a variety of fonts. 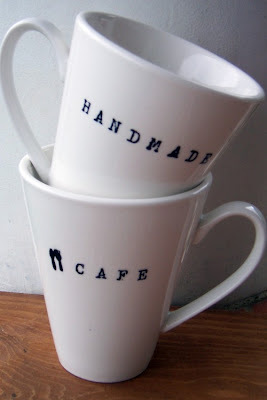 For this project I am using my antique typewriter style rubber stamps to create a cafe library type of style. Before you stamp your design, make sure to wipe the surface clean of any stain or smudges. Okay now we're ready to stamp away! Simply press individual wooden stamp block onto ink pad for about 2-seconds then firmly press onto the ceramic surface for about 10-15 seconds. For any smudges or imperfect imprinting, just wipe the design off using isopropyl alcohol. Wipe dry and try again until you get the design right. Let dry. Rubber stamping is also wonderful for garden projects. As I have experienced, clay or terra cotta is a great material to work with. 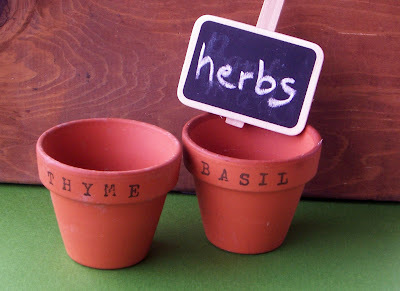 You can easily make a set of charming herb pots using the nifty wooden alphabet stamp. No need for herb plant markers! Solvent all surface ink also great for packaging materials such as cello wraps or bags. Simply stamp your designs on the cello surface for about 10 seconds. Let dry. 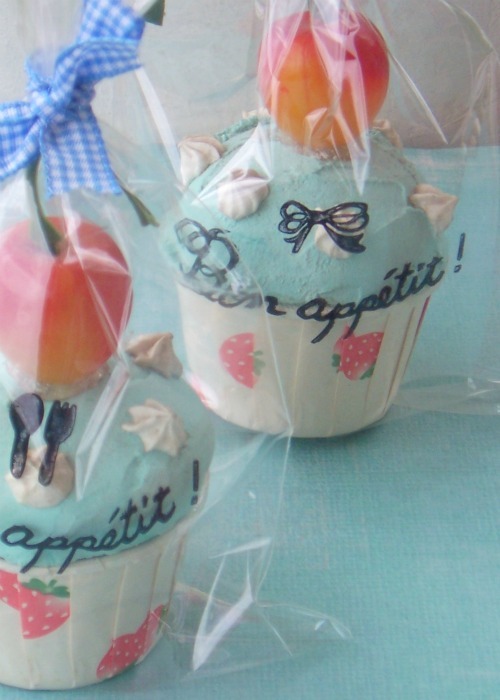 Voila, you have instant packaging material for your handmade or homebaked gifts. Stamping on glass is definitely my favorite craft as I love to recycle all types of jam or glass jars. Using imaginative design you can easily transform jars into lovely and inspiring candle holders. I hope you enjoyed my little tutorial! I hope it gave you a few creative ideas to try on your own. 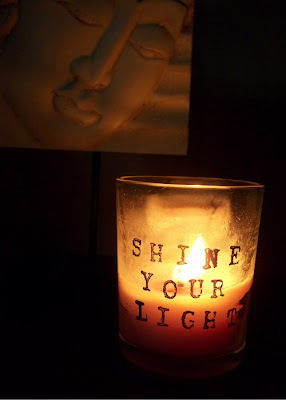 For more projects you can visit my blog. I also have a little rubber stamp shop on ETSY that offers cute handcarved stamps. This is so cool!! And it will not wipe away at all?? I'm guessing you'd have to handwash the mugs? Gonna have to find some of that ink! Thanks for sharing! !